In an unusual move for the “America First”-minded Trump administration, reports surfaced this week that the President had reached out to members of the Venezuelan military to offer support for a possible coup against Venezuelan president Nicolas Maduro. The President discussed the matter with the Venezuelans three times before opting not to take military action in the region. Maduro has taken strict control of the country and cracked down on dissent with his personal military force, the Revolutionary Armed Forces of Venezuela, also known as FARC. The FARC have silenced the complaints of Venezuelan citizens, which include health crises due to food and medicine shortages, and economic disaster set on by hyperinflation. Many Venezuelans have fled to the neighboring country Colombia to escape the political situation in their home country. This announcement comes following a pair of attempts on Maduro’s life with varying degrees of success. 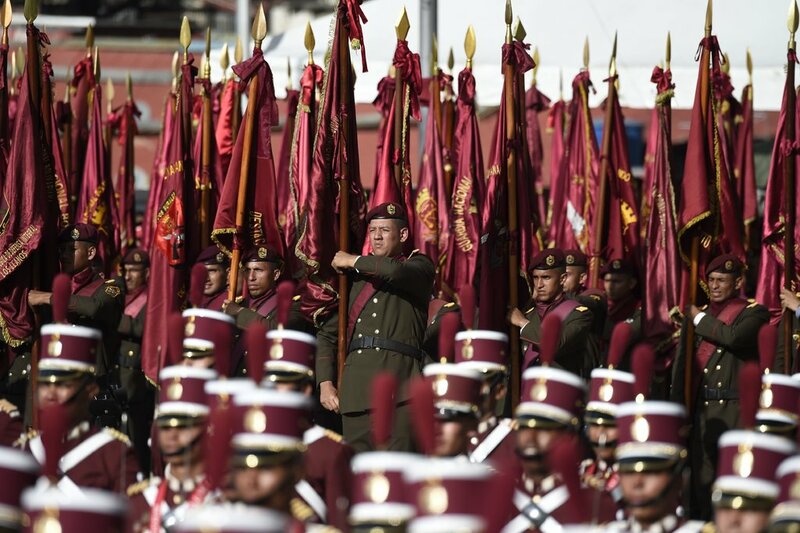 A May attempt at arresting Maduro prior to the country’s elections was quietly thwarted by what appears to be a double-agent, and the perpetrators were purged from the FARC and likely tortured. In a later attempt to attack Maduro, drones were launched at the President while he was giving a speech. The missiles missed their target, and Maduro was quickly hustled away. Maduro has long attributed his country’s economic and social woes to the tyranny of Western imperialism. Such plots give credence to this idea, which may result in the further crackdown of free speech and independence in the nation. Trump first discussed the idea with his cabinet in August 2017, who were apparently “stunned” at the possibility of considering such an idea. Former national security advisor HR McMaster and former Secretary of State Rex Tillerson tried to talk the President out of the idea, but the President announced his consideration of military force the next day in a speech. The entire event is made stranger by the fact that at least one of the Venezuelans the Trump team talked with is sanctioned by the US government for crimes committed as a member of the FARC. Reportedly, talks broke down from the first meeting, with the Venezuelans believing the United States had a plan of action, while the Trump administration apparently wanted to offer support. During his 2016 campaign, Trump lashed out at Hillary Clinton for intervention in the Middle East, calling such action “reckless and dangerous.” The President’s premier foreign policy platform was largely tied to his isolationist economic policies. Of course, that makes the entire discussion with Venezuela all the more absurd. Venezuela and the United States have not been on good terms since 2010, when the two nations stopped sending ambassadors. Since that time, Venezuela has been sanctioned multiple times and Maduro has taken every opportunity to lash out at Washington. Furthermore, although the two nations are actively antagonistic, they offer little to one another. Venezuela cannot afford to consume many American goods since its currency crisis, with bilateral trade totaling only $16.1 billion USD in 2016. The United States has offered aid to the country, even in spite of its condemnation of the human rights abuses in the country, with the stipulation that Maduro accept humanitarian assistance. He has yet to do so. On the other hand, the United States has much to risk. Foreign support and soft power extension is a thorny subject, as the United States often must walk the line between global hegemony and supporting partner; foreign nations want American support and trade, but don’t want to feel like they’re being beholden to American interests. Word of a coup risks the reputation of a partner and harkens back to the Chavez years in Cuba. Richard Haass, President on the Council of Foreign Relations, has expressed his support for intervention, claiming that he isn’t familiar with a better policy that supports the Venezuelan people. There is a balancing act, however; it may not be worth the damage to the United States reputation in the case of a public leak, of which there have been many in the Trump administration, when valued against the possibility of a successful coup. How this affects US foreign policy remains to be seen, but President Donald Trump’s erratic foreign policy decisions certainly will shape the landscape of American policy for years to come. Previous The Dawn of a New Ethiopia, or the Last Gasp of Calm Before the Storm?